The Eastern Shore and its surrounding communities, such as EASTON, SAINT MICHAELS, OXFORD, TRAPPE, CENTREVILLE, CAMBRIDGE, Queenstown, KENT ISLAND, STEVENSVILLE, or DENTON are great places to live. Whether you already know which area you are interested in, or are looking, call for some suggestions. Contact me today, and I can discuss any question you might have about the Eastern Shore of Maryland or any of the surrounding cities! Let's get started today. Together we can find the home or property you are looking for. I will be happy to send you daily listing updates with your search critieria. Fill out my contact form, so we can start the search for that special property before it is gone. As a Certified Distressed Property Expert® (CDPE) I have a thorough understanding of complex issues in today’s unsettled real estate industry and knowledge of foreclosure avoidance options available to homeowners. CDPEs can provide solutions, specifically short sales, for homeowners facing market hardships. If you owe more on your mortgage than your home is worth, you may qualify for a short sale. As a CDPE I can help you determine what your best solution will be, whether you chose to save your home or sell it as a short sale. Homeowners regularly proceed without guidance through the often financially and emotionally devastating prospect of foreclosure. Speaking with a well-trained, licensed real estate professional is the best course of action for a homeowner in distress. Through comprehensive training and experience, I have the tools to help homeowners find the best solutions for their unique situations and to avoid foreclosure through the efficient execution of a short sale. CDPEs don’t merely assist in selling properties, they serve and help save their clients in need. Visit My Short Sale Resouce page! Selling an Eastern Shore Home? If you're thinking of selling your home on the Eastern Shore or one of the other surrounding communities, the first thing you should ask is, "How much is my home worth?" Being educated on market trends on the Eastern Shore gives you the best chances of selling your home quickly and for the best price. Click on "Free Market Analysis" to request a free value analysis of your Eastern Shore MD home. Remember, I also take advantage of the latest technologies to make sure your property has a strong presence on the Internet. For example, if someone is looking for real estate on the Eastern Shore, or a Realtor on the Eastern Shore, they have a much higher chance of finding this site, and YOUR listing. Contact me today, and I will be happy to give you more information about my services to sellers. Buying a Home on the Eastern Shore? Finding homes, such as resale, new homes, pre-construction, home builders, luxury, condos, townhomes, land, lots, golf course community, gated communities, waterfront, or investment property, and getting relocation help on the Eastern Shore of MD and the surrounding area is sometimes a challenge. 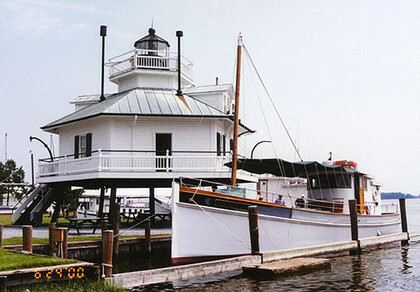 You can find it here on my Eastern Shore real estate website. In fact, make your home search easier and become a VIP Buyer. 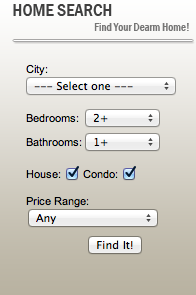 Get immediate information on ALL new listings that match your criteria emailed to you. Click on "VIP Buyer's Program" now! As always, if you have any questions about the Eastern Shore real estate market, or finding that perfect home here on the Eastern Shore, please let me know! Thank You For Visiting Your Eastern Shore Maryland Real Estate Information Source! I strive to provide the highest quality of service to all my clients while making each transaction as profitable, professional, successful and stress-free as possible. I understand the importance of professional ethics, integrity and continued education. Call or email me today for information on your next Eastern Shore real estate transaction.